Jeff Roltgen creates beautiful wooden furniture that manages to achieve the difficult task of being both classic design and also contemporary in appearance. 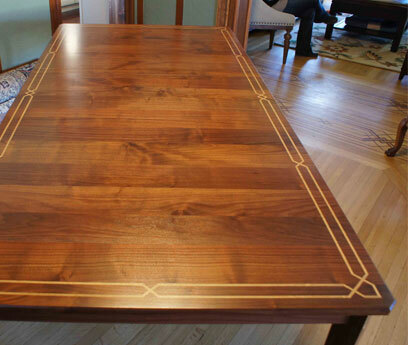 To produce his tailored “heirloom” pieces for his clients, Jeff combines his traditional woodworking skills with the benefits of CNC technology and Vectric’s Vcarve Pro software. As Jeff gained experience in the different aspects of the business we wondered how he made the transition to being full time? “I developed a high end jewellery display case for a local gold manufacturer (see photos on Jeff’s website – http://www.roltgenswoodworks.com/Jewelry-Displays.php). Their sales team picked my design over another, and I was issued a purchase order for 50 units. Though the order ended up being spread over a longer period of time than intended, it did help me launch the business. 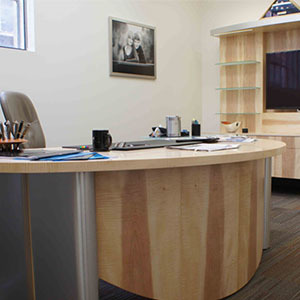 Initially Jeff was using cad software to help him design his furniture but was not working with CNC’s, he knew though that it would be beneficial to maintain the accuracy and repeatability of his computer designs through the production process. Here he explains how he decided what CNC to purchase and how Vectric’s training material helped him get up and running as quickly as possible. 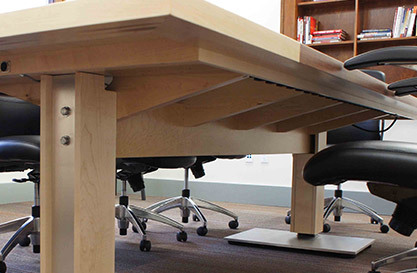 “I had been designing and drafting furniture and cabinetry in Sketchup for 6 years. I longed for the ability to move from digital drafting to digital production – after some research, studying the market I concluded with purchasing a shopbot CNC machine along with a copy of Vectric’s vcarve Pro." Now that Jeff has incorporated CNC machining into his work, we have asked him what features does he find most helpful within vcarve Pro? “I have been using Sketchup for my digital designs and drafting for years so I really do enjoy the ability to import sketchup models seamlessly into Vectric software. I am still cutting my teeth on this new import feature but have utilized it on smaller scale projects. The fact that it closes all open vectors and automatically converts segmented arcs to true arcs without manual operations is a wonderful feature, and I continue to hone my processes so I may eventually vector all my sketchup files with it in the future. Currently for larger projects, such as a kitchen, I still manually nest and space plywood sheets flat in sketchup. Layers are imported separately, such as 5mm holes, dados, cutouts, etc. I then create a dxf “master” in vcarve Pro and generate part files by the sheet. The advantage of this is that I can label the pieces in sketchup, print pages, export a cutlist to Cutlist Plus and print labels that correspond to the sheet arrangements exactly as drawn in sketchup. This way, as the parts come off the CNC, I’m placing removable labels on each part with those layouts for visual reference. 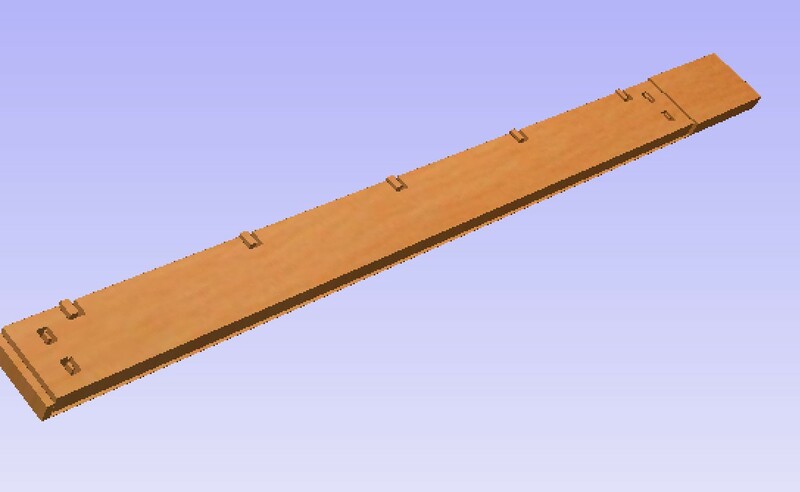 This is critical on large orders, such as a current project that required 35 sheets of plywood! As we already know Jeff is now known for his fine craftsmanship, creating bespoke woodwork pieces, furniture and cabinetry that “performs…beautifully”. 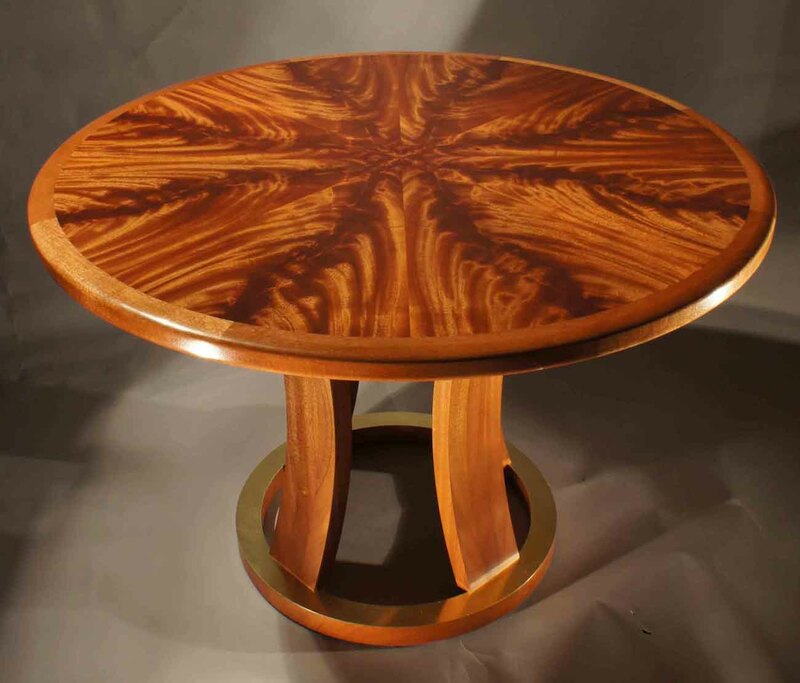 From dining tables to file systems Jeff has produced a large array of pieces using the software and his CNC. To the right and in the slideshow above, you can see images of some of Jeff’s work made using his shopbot and vcarve Pro along with descriptions of these pieces. Logo plates these are engraved into brushed aluminium formica for branding my work. Mahogany dining table (below, right) – this is made from all solid pieces that include 12 edge blocking sections, curved leg sections and circular base blocking vectored from Sketchup utilizing vcarve Pro and cut on the shopbot. All the pieces fitted together as designed with a minimal amount of handwork. Eight sections of crotch mahogany veneer were cut manually, but the triangular template was also originally vectored with vcarve and again, the fit was remarkably accurate as well. Curly Maple Credenza (Below) – all the flat plys were rough cut oversize, veneers applied with vacuum press, then cut to final size on CNC. The curved doors were bent- laminated in the vacuum press as well the forms were produced on the CNC. Virtually all curved pieces were formed with digital fabrication. The tedium of making templates, then manually cutting with handheld router trimming is eliminated. This allows me to reserve energy and focus for the most critical, creative and ultimately rewarding hand work of selecting, trimming and laying up those beautiful expensive veneers. The floating glass shelves were executed in a deceptively simple manner, thanks again to cam. I was able to dial in groove widths so closely that I simply needed to lightly file the rounded corners for them to create a super- snug fit. Of course, there is more mechanical support provided on the back side of the panel. 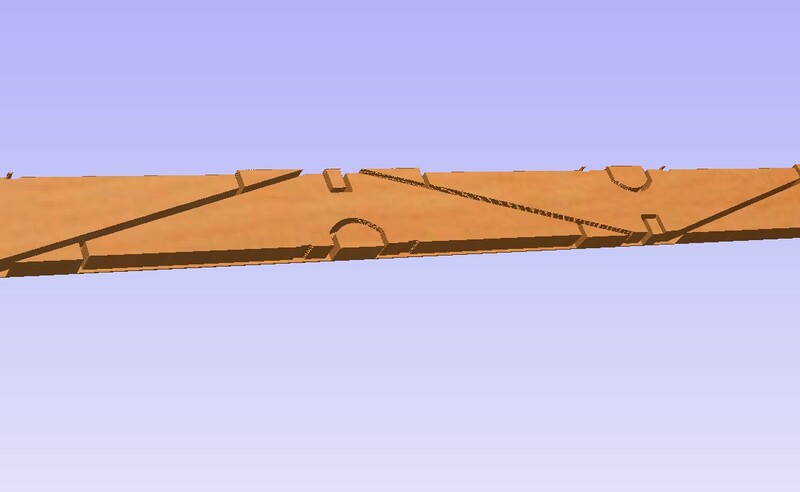 Maple and walnut conference Table (Below) – screen shots of Maple support trusses and beam are shown, as well as the completed assembly. Note wiring pathway down the center for A/V connectivity, as well as power strip you can just glimpse suspended under the apron on the right. Again, due to the accuracy, cutting and fitting 8/4 hard maple with a super snug fit is no sweat with vcarve Pro. Once again, I was able to meet all the client’s utility requests with accuracy and elegance built in. 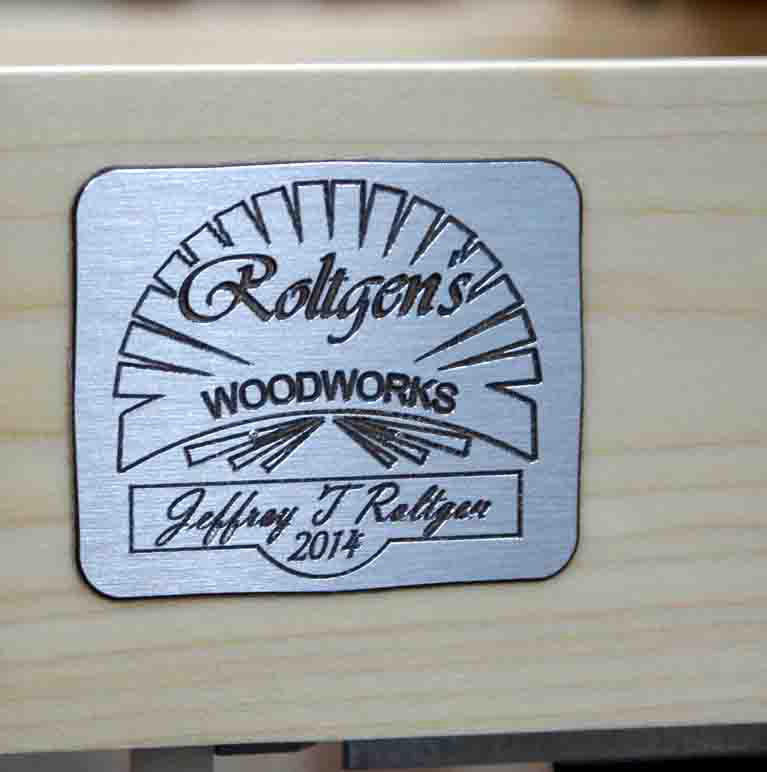 To finish Jeff summed up why CNC technology has become a crucial component in his business and gives us a glimpse of what we might expect to see from him in the future. It’s safe to say that Jeff’s customers are probably glad he moved from Insurance to full time woodworking and we certainly look forward to seeing more of Jeff’s work.